The Year: 1784. Pierre-Francois Lubin is regarded as the founder of modern perfumery. Born in 1774, he lived through one of the most turbulent periods in French history, as the Ancien Regime gave way to the Industrial Revolution. It happened that Lubin's parents lived near the Parisian workshop of renowned perfumer, Jean-Louis Fargeon and so in 1784, it was he who initiated the ten-year-old Pierre-François in the art of perfumery. Under Fargeon, Lubin gradually came to be entrusted with the beauty recipes for the French Royal Court. - Kindly scroll down to view product range. 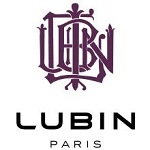 Lubin has a boutique in the very center of Paris, known only by perfume connoisseurs. It is located in one of Paris� most prestigious quarters, St. Germain des Pr�s, in one of the small adjacent streets to �place Saint Sulpice� and its famous church, 21, rue des Canettes. When in Paris kindly visit Boutique Lubin, 21 rue des Canettes - 75006 Paris.